Tappo frontale 52mm per obiettivo con scritta Nikon. Bouchon D'objectif pour Nikon 52 mm, couvre objectif, capuchon, Avec Cordon. Top quality plastic lens cap from KOOD. Top quality and value. Feel free to ask! Tappo frontale 58mm per obiettivo con scritta Nikon. With cap keeper cord. Top quality and value. Feel free to ask! Tappo frontale 62mm per obiettivo con scritta Nikon. Nos amis photographes ayant acheté un bouchon ont aussi acheté un porte bouchon voir --> PORTE BOUCHON. Vous voulez éviter de perdre votre bouchon. Nous pouvons ainsi vous garantir que vous serez satisfait. 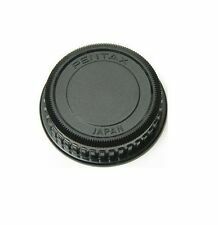 This set of body cap and rear lens cap made from high-quality material, it will fit all Canon EOS DSLR and EF EF-S Lens. Not manufactured by Canon. Not manufactured by Sony. Color: Grey. 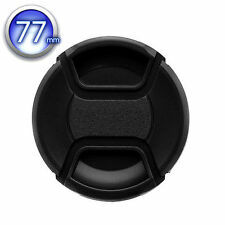 The JJC 77mm lens cap for use with lenses that feature a 77mm filter thread. Two spring claws at opposite sides latch inside the filter thread of the lens or the front thread of a screwed-on filter to keep the lens cap secured and your lens protected. Easy to put-on & take-off. • ABS Engineering Plastics. with careful on ABS, fine and smooth finish, Firm & durable. • Original specifications. Not manufactured by Sony. I x Cap Cord. • Anti-scratch & Dirt-proof. Fits any lens with a 40.5mm filter thread. Suitable for all Sony lenses with 40.5mm filter thread. Easy to put-on & take-off. ABS Engineering Plastics. with careful on ABS, fine and smooth finish, Firm & durable. Suitable for Canon FD / FDn. 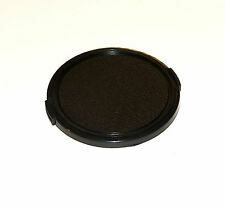 This is a rear lens cap suitable for all FD bayonet Lenses. Genuine Canon. Rear Lens Dust Cap Cover. Rear Lens Cap. 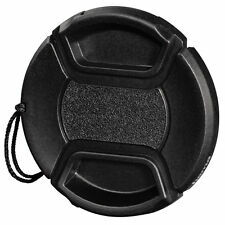 This Body & Back Rear lens cap Set fits all Sony A Mount/Minolta AF lenses & Bodies. Product model: L-S2 Lens Cap Keeper. Protects against loss of lens cap. An elastic cord is placed around the lens, and the lens cap is attached either via a 3M sticky pad or via the eyelet on the side on the lens cap. 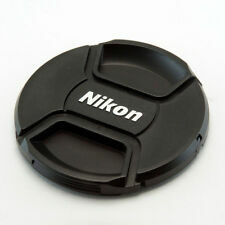 Rear lens cap for Nikon lenses. Make Supersized Seem Small. Rest of World Top Quality and Value. Fits any lens with a 77mm filter thread. Suitable for all Canon lenses with 77mm filter thread. Fits all Canon Lenses with a 77mm filter thread. Easy to put-on & take-off. Not manufactured by Canon. Crafted from high quality Nappa leather, it is fashionable and chic. The lens cap keeper fits the lens cap perfectly. JJC CS-C52 Black Lens Cap Keepers x 1. 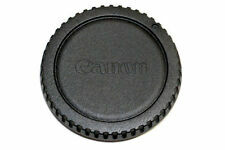 Fits Canon E-52II Lens Cap. Fits the lens cap perfectly. Mit diesem Objektivdeckel schützen Sie Ihr teures Objektiv vor Schmutz und Kratzern auf der Linse. Eine kombination mit Filter und Sonnenblende ist problemlos möglich. • Schützt die Linse vor Schmutz und Kratzern. SONY ALPHA MINOLTA DYNAX COMPATABLE REAR LENS CAP AND BODY CAP SET GENERIC. Rest of World. 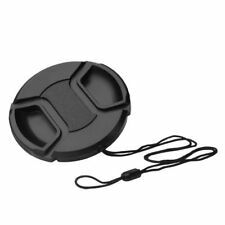 Set of 5 Lens Cap Keepers. Adhesive backed disc attaches to the back of your lens cap. Add to favs. All enquiries will be responded to within 24 hours. There are no hidden fees on the advertised price. BOUCHON POUR BOITIER NIKON monture F.
Almost identical to the original cap. Made from high impact plastic. Rest of World Top quality and value. 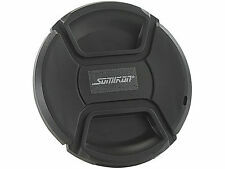 5 x 55mm Snap-on Lens cap with 25" cable. 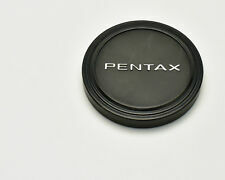 55 mm Snap-On Front Lens Cap For Sony Alpha DSLR Dust Safety Front Cover. Give us a chance to make things right for you, and we will do our best to provide a fitting solution. Bouchon D'objectif pour Nikon 55 mm, couvre objectif, capuchon, Avec Cordon. Trip 35 / PEN EE2 / EE3. & Flash Shoe Cover. Trip 35 / PEN EE2 / EE3. The original slip on cap tends to be easy lost and hard to replace. 55mm - other sizes available. TAKE A 55mm CAP ! The standard 18-55mm Nikon lens uses a.
Bouchon arriere d'objectifDe type CANON EOS. AVEC LOGO CANON. Bouchon D'objectif pour Nikon 67 mm, couvre objectif, capuchon, Avec Cordon. Bouchon Arrière Pour Objectif NIKON F. Type LF-1 ( sans logo nikon ). Nikon DX lens, such as 55-300/4.5-5.6G ED VR, 18-200/3.5-5.6G ED VR, 10-24/3.5-4.5G ED, 18-105/3.5-5.6G ED VR, 16-85/3.5-5.6G ED VR 18-55/3.5-5.6G VR, 55-200/4-5.6G ED/VR, 17-55/2.8G ED, 12-24/4G ED, 35/1.8G, 40/2.8G, 85/3.5G ED, 10.5/2.8G ED…….